Genevieve has been involved with the Information Security/Hacker community for over 20 years. An avid supporter of the EFF since 2005, she's fulfilling a dream by putting her 25 years of event experience to use for her second favorite non-profit. 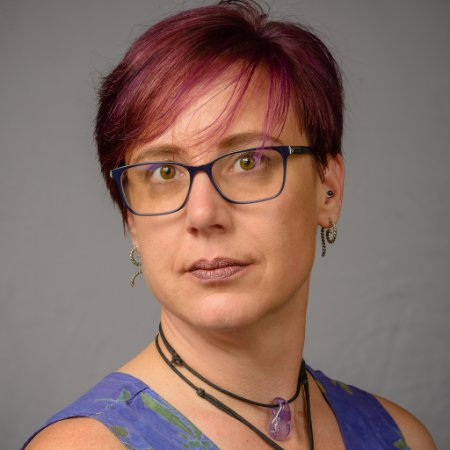 Her love for the EFF is surpassed only by her passion for the Security BSides movement, where she spends her personal time running both BSides Las Vegas and BSides Denver, as well as assisting with BSides Global minutia. In her spare time, she enjoys reading - especially historical non-fiction and biographies, solving crossword puzzles, volunteering for crisis hotlines and film festivals, and cuddling with her feline fur babies. Genevieve is a strong supporter of the Oxford Comma, pronouncing .gif like the peanut butter and still inserts two spaces after a sentence, on occasion. Cheers to EFF's 11th Annual Cyberlaw Trivia Winners! Read more about Cheers to EFF's 11th Annual Cyberlaw Trivia Winners!